12 Şubat 2019 Salı 22:00 - 6 reads. 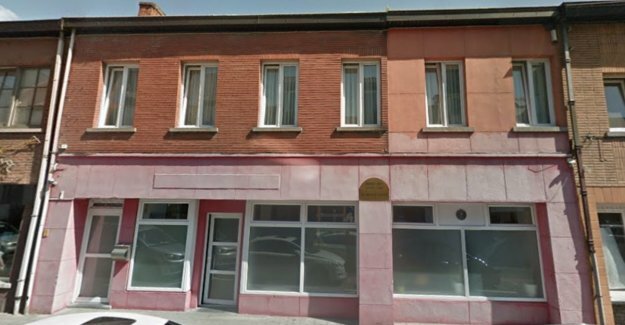 Aalst, a Few parents have complained to the management of urban primary school The Duizenpootjes in Aalst because of the school during a city tour with a visit to the Turkish mosque in the inner street. Vlaams belang shoot with the focus on ships of Education, mr Karim Van Overmeire (N-VA): "So'n moskeebezoek is still not in the from aalst DNA?" Next Friday, the students of the third year of SBS The Duizenpootjes in the inner street on step by Aalst. They visit the most important buildings of the city: the town hall, the belfort, the Sint-martinus Church, and they jump also go inside the Turkish mosque in the inner street. Some parents of students are now going to complain to the management. “It bothers me especially that the school is not open about communicating. We get a note that it is a walking tour, but as a catholic, I know that it is still like that a mosque is being visited. A few years back, my son came home after the ‘tour’, it turned out that they had prayed in the mosque. That's going too far, I think,” says Glenn Blondeel. With the management he now agreed that his daughter be allowed to walk, but that her mommy life as a mentor.